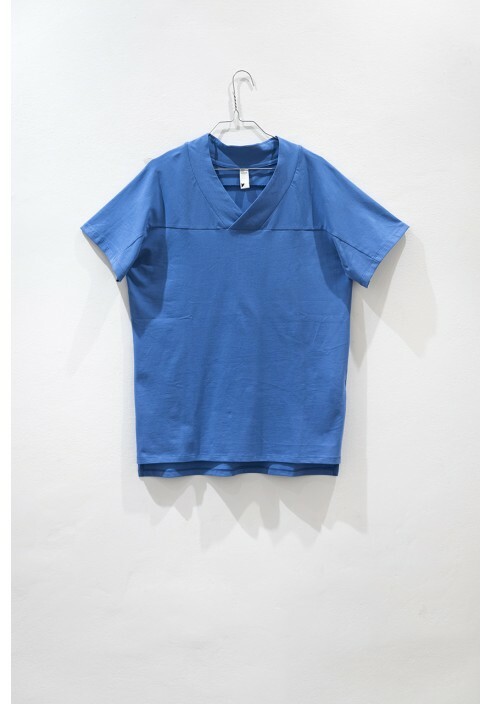 Mid blue colored, V- neck, oversized T-shirt. Made from comfortable cotton fabric, therefore providing an ultra-soft feel. Loose, everyday casual wear for men and women. Made of soft cotton material.